Salutations! We invite you to join us in #Sanctum-OOC ) (+18)(Must Register PC to play) Setting: The Eyrie is a vast series of buildings that had been artfully integrated into the natural landscape of a vast plateau eroded into the mountain. 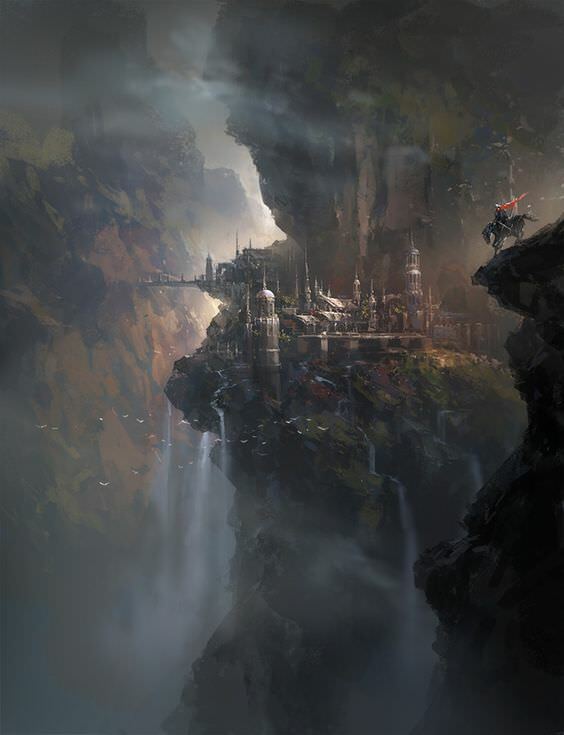 Travel between the Eyrie and the village below is accomplished by using the meandering halls carved into the mountainside. The Horizon Realm is a forest biome. Ancient and massive trees stretch off in every direction from the mountain and the lake that surrounds it. 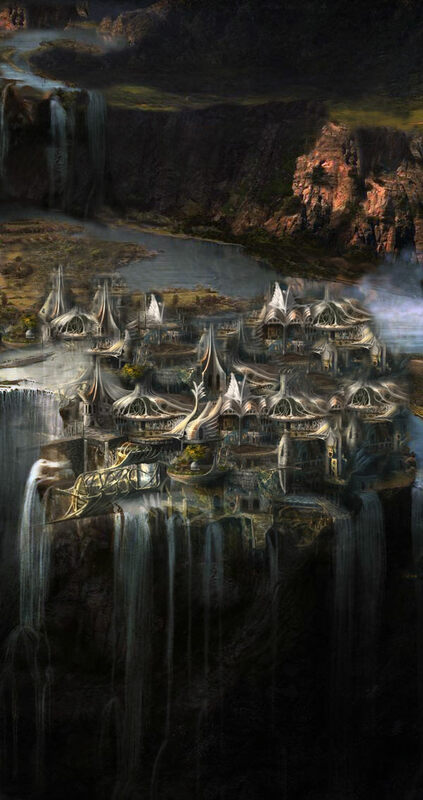 The graceful, towering spires of the Eyrie have been painstakingly detailed, every place on the central island is reachable by the meandering halls and streets which weave in and out of the stone.